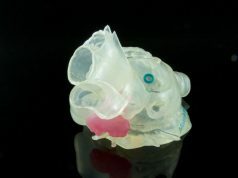 Stratasys announced a new clinical study is being conducted with the New York University (NYU) School of Medicine – aimed at advancing diagnosis and treatment of complex kidney and prostate tumors through imaging and 3D printing. 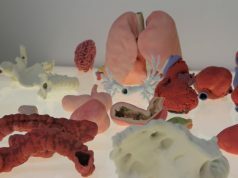 These patient-specific 3D models of organs and their associated pathologies may empower surgeons and researchers to conduct more accurate pre-operative assessment and inter-operative guidance, potentially improving surgical outcomes. 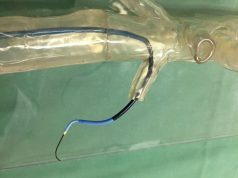 The two-year clinical trial is being led by Nicole Wake – a pre-doctoral researcher at the Sackler Institute of Graduate Biomedical Sciences at NYU School of Medicine. 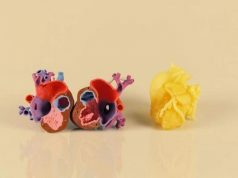 The study is specifically targeted at analyzing how patient-specific multi-colored physical tumor models, printed on the Stratasys J750 3D Printer, can potentially change and improve the quality of patient care. 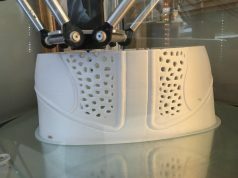 Under the randomized, controlled study, Wake and her research team are 3D printing kidney and prostate cancer models for a sample of the participating 300 patients – measuring the specific impact each has on pre-surgical planning versus traditional 2D visualization approaches. 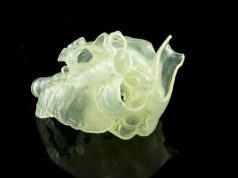 Subjects are separated into three treatment categories to analyze and compare conventional pre-operative 2D imaging, augmented reality models, and next-generation 3D printed models. 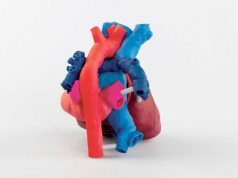 With its unique ability to produce parts in over 360,000 colors, textures, gradients, and transparencies – the Stratasys J750 3D Printer delivers medical models with a broad array of characteristics that replicate the look, feel and function of organic structures. 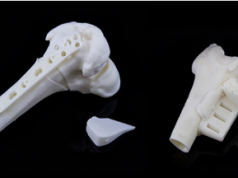 Built directly from patient scans, these models match the widest array of medical properties – from soft tissue to hard bone. 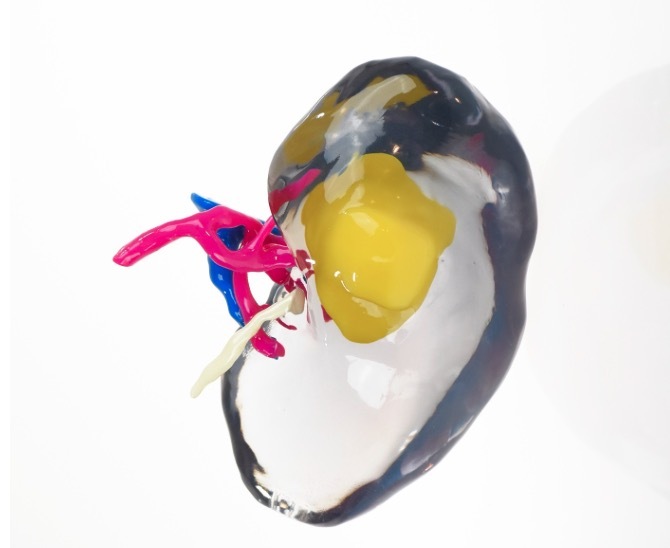 Advanced modeling not only guides surgeons in the operating room, but enables patients to better visualize proposed treatments and course of care. 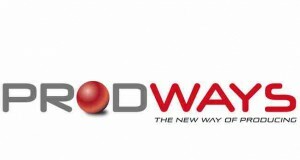 Moving forward, the clinical study is expected to continue into 2018. 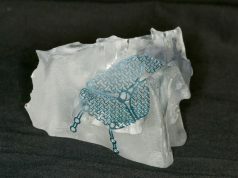 During the next phase of the project, researchers will begin to explore quantitative patient outcomes.